As shockingly reported by the SSPX. How long can this silent apostacy go on? Kyrie eleison! First reported on August 28 by the Brazilian web-forum, FRATRESINUNUM, a “Day of the Mason” was observed on August 20 at the church of Nossa Senhora da Conceicao (Our Lady of Conception) in the Brazilian town of Belo Jardim in the diocese of Pesqueira-Pernambuco. 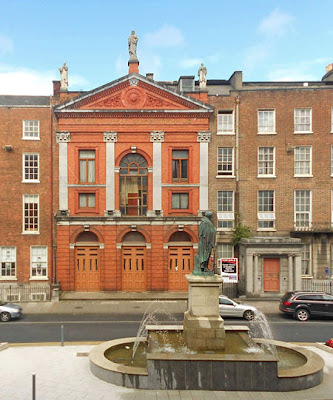 The event consisted of Mass (per the Novus Ordo Missae) with Masons processing into the church in full Freemasonic regalia of ribbons, collars and aprons, and bearing tools of their “craft”, the compass, hammer and square. In addition to being granted an official place of honor in the church during Mass, they were also allowed to speak from the altar and present their tools as memorial gifts to the celebrant, Fr. Geraldo Magela de Silva. Even worse though, these Freemasons – were also given Communion. The first condemnation against Freemasonry given by Pope Clement XII per In Eminenti (1738) was repeated and even extended by Benedict XIV (1751), Pius VII (1821), Leo XII in Quo Graviora (1826), Pius VIII (1829), Gregory XVI (1832), Pius IX (Qui Pluribus in 1846, 1849, 1864, 1865, 1869, 1873), and of course, Pope Leo XIII in Humanum Genus (1884) and Custodi di Quella Fede (1890). Later, the 1917 Code of Canon Law explicitly declared that Catholics who joined a Masonic organization incurred a penalty of ipso facto excommunication. It is also noteworthy that in a response dated February 17, 1981, the Congregation for the Doctrine of Faith also reiterated the 1917 Code’s penalty. When will more people realize the prophetic character of (St.) Archbishop Lefebvre? Update (8/31): The surgery went well aside from some bleeding that has lasted longer than expected. The recovery time will be longer than I had originally thought due to the bleeding complications. I appreciate all of your prayers. Thank you. Original (8/8): I typically do not write to ask for prayer requests for myself, but lately I feel that not doing so would be an act of pride. And today I am asking for your prayers. In short, I have a surgery on my jaw on August 30th to fix a painful jaw condition that has troubled me for several years. I simply can not delay the surgery any longer. I will have to travel nearly 500 miles to have surgery up in Minnesota and the cost for the procedure will come in over $6,000. Last week I returned from a pre-surgery consultation with the surgeon. If you want to call yourself a Catholic, and indeed, even a Christian, you have to live what you profess. As we said in the opening page of today’s lesson, faith has two aspects. The Church refers to these as “fides qua” and “fides quae.” Fides qua is “believing” and fides quae is “that which is believed.” Especially during your school years, when you’re immersed in an atmosphere of learning, it’s easy to focus so much on the fides quae that we forget about the fides qua. Part of maturing in our faith is having it affect every part of our life. Let us look at some of the reasons why our lives need to change by what we learn. Christ DIED for us, in order to bring us to eternal life with God in heaven. We have become God’s adopted sons and daughters, and as a result, our lives need to be affected. God offers us redemption, but we need to show our acceptance by living the virtues of faith, hope and love. We need to work daily towards the coming of the Kingdom of God. Just as a reminder, let us spend a moment thinking about the Last Things. We will die. When we die, we will be brought face to face with God, and He will show us, in our personal (or particular) judgment, all of the ways in which we have chosen ourselves rather than Him. He will show us that by His justice, we cannot possibly deserve Heaven. If we have not deliberately chosen ourselves over Him (unconfessed mortal sin), we will be offered His mercy, which will triumph over His justice. If we are deemed worthy of someday entering Heaven, we will be offered Purgatory as a great gift of grace. Some of us will be brought directly to Heaven – and we have to remember that Heaven is our goal, not Purgatory. Just think, if you were aiming for Purgatory but missed, there’s no chance for you. At least if you’re aiming for Heaven and only miss by a bit, the mercy of God will give you Purgatory. The entire point of our lives is holiness. Every person, regardless of gender, role in the church, age, nationality, ability, etc., is called to holiness. We are made in the image of God because He gave us intellect and free will. He asks us to use those to freely choose Him, and to profess that to the world by our way of life. Our personal response to His call is enabled through the graces given to us by the Holy Spirit. The Church is clear that there is one main thing that MUST be in a life if it is to be growing in holiness: self-examination. If we honestly examine our lives to see how closely we are following and accepting Jesus’ teachings, we can only grow closer to Him. We will love Him, worship Him and lead a life of prayer as a result. Our hearts and minds will turn towards Him (conversion) and we will put Jesus’ moral and spiritual teachings into practice. To live as an adult in the church, we will live as He wants us to. We will live chastely, according to our station in life. We will serve those less fortunate than ourselves. We will bring His gospel to all those we meet. We will serve the Church and others by being stewards of all that He has given us. We will use our talents for the benefit of all. 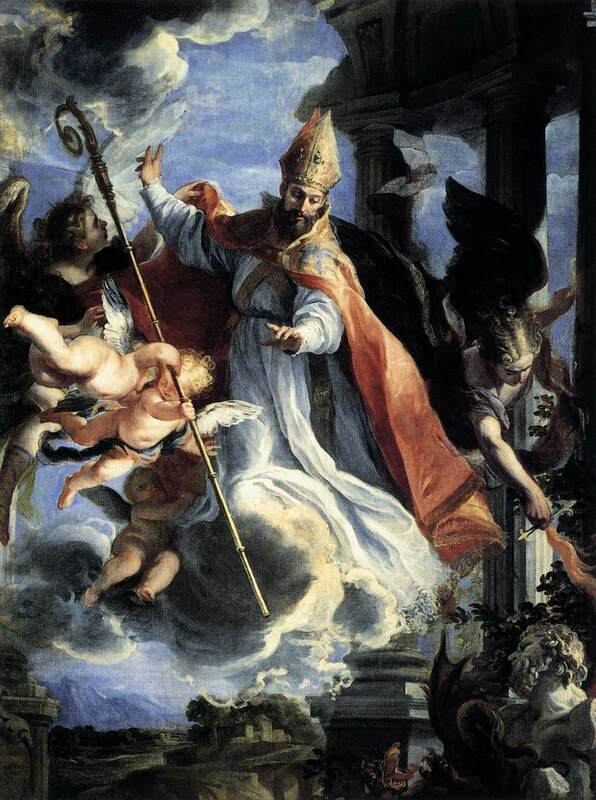 Today the Church celebrates the holy feast of St. Augustine, bishop and Confessor! CatechismClass.com is pleased to offer St. Augustine's classic Confessions summarized in an easy-to-read and shortened format. In approximately 8 pages we summarize this spiritual classic because we realize that you have many responsibilities and do not have time to read all of the great classics. 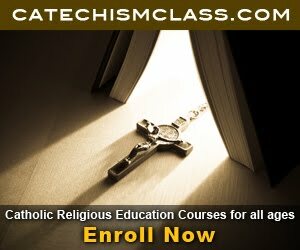 But with the book summarizes of CatechismClass.com you can still learn about the Catholic Faith and study the ancient texts of our Faith with ease any time of the day! Click here to read more and see a preview of this product! Taken from the book "More About Fatima and the Immaculate Heart of Mary" - Rev. Fr. V. Montes De Oca, C.S.Sp. Lucy relates that on June 13th, 1917, after speaking at length about her Immaculate Heart, Our Lady of Fatima again stretched forth her hands, throwing on the children the rays of that immense light in which they saw themselves as if immersed in God . . . 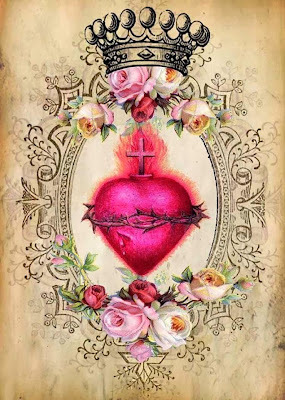 The Blessed Virgin held in her right hand a Heart surrounded by thorns, which pierced it from all sides. The seers understood that it was the Immaculate Heart of Mary, afflicted by all the sins of the world, which demanded penance and reparation. "It seems to me," said Lucy, "that on that day, the purpose of the light was to pour into us a special knowledge and love of the Immaculate Heart of Mary, as on other occasions it infused into us the knowledge and love of God, and the mystery of the Blessed Trinity. From that day, indeed, we experienced a more ardent love for the Immaculate Heart of Mary." Francis had observed that this supernatural light, that the Blessed Virgin threw on them and on the world, seemed to come from her Heart. He afterwards asked Lucy: "Why did the Blessed Virgin hold a Heart in her hand throwing on the earth this great light which is God? You were with the Blessed Virgin in the light that went down to the earth, while Jacinta and I were in that which went up to heaven!" "It is because you and Jacinta will soon go to heaven", said Lucy, "while I shall remain some time longer on earth with the Immaculate Heart of Mary." "Is it the Blessed Virgin who explained to you the meaning of the two beams of light?" "No, I saw it in the light that she put into our breasts." "That is right," interposed Jacinta, who followed the conversation, "I saw it also." "It is through the Immaculate Heart of Mary that God wishes to grant us His graces!" "It is from this Immaculate Heart that we must ask for them!" "The Heart of Jesus wishes the Immaculate Heart of Mary to be venerated with His own!" 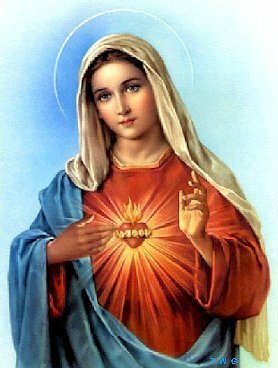 "It is through the Immaculate Heart of Mary that peace must be asked, because it is to that Heart that the Lord has confided it." "How I love the Immaculate Heart of Mary! It is the Heart of Our Heavenly Mother!" Mary is that left us by the children in the admirable example of their lives. After the revelations, indeed they were true models of devotion and reparation to the Immaculate Heart of Mary. They loved this Immaculate Heart ardently, they invoked it constantly, they spoke about it enthusiastically, and they multiplied sacrifices to console it and to make reparation for all the blasphemies and offences that cause it to suffer. We have already spoken of penance and the daily Rosary so much recommended by Our Lady of Fatima. We give now the three principal practices of devotion for which she has asked in honour of her Immaculate Heart; the First Saturday of the month, the Five First Saturdays and the Consecration. They bear a marked similarity to the practices now so widespread in honour of the Sacred Heart of Jesus. 1. 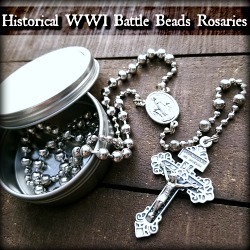 The practice of the First Saturdays consists of the following exercises, performed with the intention of consoling the Immaculate Heart of Mary, and making reparation to it for all the outrages and blasphemies of which it is the object on the part of ungrateful Christians: 1, the Rosary; 2, Communion of Reparation. 2. For the practice of the Five First Saturdays. In addition to the two exercises already mentioned, the following two are added on the first Saturday of five consecutive months: 3. go to confession; 4. keep the company of the Immaculate Heart of Mary by meditating for a quarter of an hour on the mysteries of the Rosary. These two must be offered in reparation to the Immaculate Heart. .The meditation may be on one or several mysteries. Russia and there will be peace. . .
What makes a person undertake a solo and unsupported 3,700 mile run across the United States? For Jeff Grabosky, it begins four years prior to his crossing with a series of tragic events. Jeff prays his way through his darkest days, and the prayers are answered – in a remarkable way. Jeff responds to the call on his heart to run across America to encourage people to pray. Jeff prays for thousands of prayer intentions sent to him from all over the world as he averages well over a marathon per day. The story of the transcontinental journey takes you through a wide variety of challenges on the road, in his mind, and in his heart. I initial chose to review this book because of the connection of exercise in my life. Those who know me, know that I have been working to improve my health and fitness this year. As part of that goal, I have been running nearly a 5K every day, in addition to other physical activities. So, I chose this book because of my connection with running. But what I found in this book was far more than the text of one man's amazing and awe-inspiring 3,700 mile across the United States. I saw one man's dedication to prayer that surpasses that of most people. Indeed, innocence of heart is a goal for all of us and Mr. Grabosky shows his dedication to a mission of prayer more so than to simply running the equivalent of a marathon everyday for over 5 months. The book does more than simply describe the physical dangers and perils of his journey - it shows the driving force behind his pilgrimage. How many people would be willing (or physically able) to run the distance he ran without God's good grace? And indeed, we know that no one can do anything aside from the grace of God (cf. John 15:5). In the same respects, we read in 1 Corinthians 9:24, "Know you not that they that run in the race, all run indeed, but one receiveth the prize? So run that you may obtain." And so if so many run and practice with such dedication for an earthly prize (e.g. 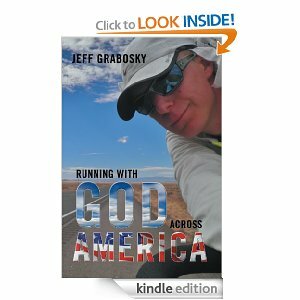 the Olympics), than why can we not all run with the same rigor and innocence of Mr. Grabosky to further spread the Gospel, bring about conversions, make reparation for sins, and bring out the Kingdom of our Lord Jesus Christ? I do recommend this book as an inspiring story of motivation and endurance. It numbers 235 pages and it is not a challenging read. I read the book over the course of two weeks while on my stationary bicycle, adding an extra challenge to help me better relate to his physical demands as I was reading the text. Copies are available on Amazon.com. A Blessed Feast of the Assumption to all of you. Today is a Holy Day of Obligation for all Catholics. Also keep in mind that prior to 1955, the Assumption was a Double of the I Class with a Common Octave. Let us celebrate the Assumption of our Lady for the next week up through August 22nd - the Feast of the Immaculate Heart of Mary. two others renewed their vows. Deo Gratias! 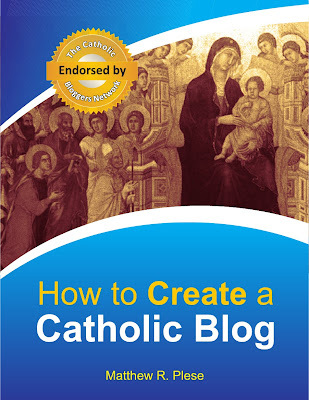 Photos and descriptions of this most special occasion are available on the website of the Society of St. Pius X.
I'm pleased to announce that RefTagger is now available for Catholics. I've taken advantage of their inclusion of the Douay Rheims Scriptures to install the RefTagger code on A Catholic Life. Once RefTagger is installed on your site, you’re covered. It pro- and retroactively links every Bible reference on your blog. Worry free and labor free. Don’t bother typing out Bible verses anymore—with RefTagger, a reference is more than enough. 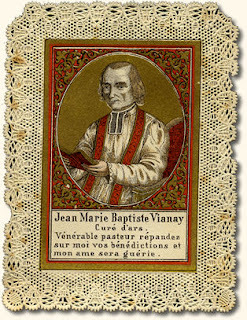 According to the 1962 Roman Catholic Calendar, today (August 8) is the Third Class Feast of St. John Mary Vianney. As a side note, in the 1954 Calendar (still in use by some Traditional Catholics), the Feastday of the saint, with a rank of Double, is not until tomorrow (August 9). And to complicate matters, in the Novus Ordo 1969 Calendar, St. John Vianney's feastday falls on August 4th, which is traditionally the Feast of St. Dominic. 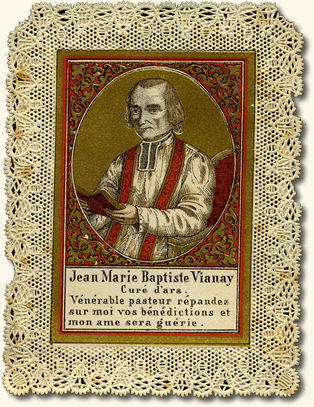 This glorious parish priest was born in eastern France, three years before the French Revolution broke out. He was a simple farmer’s boy. He received his first Holy Communion secretly in a barn when he was thirteen years of age. He later began studies or the priesthood. Because of the simple innocence of his mind, he found it very hard to pass the seminary examinations. His great devotions were to the Blessed Sacrament and to Our Blessed Lady. After months of prayer to Our Blessed Lady, he finally obtained the favor of being ordained a priest in 1815. He got encouragement to pursue his vocation to the priesthood at the tomb of Saint John Francis Regis. He was first made an assistant pastor at Ecully, and later a pastor at the little village of Ars. He stayed there for forty-one years, until he died. He is always referred to as the Cur’e of Ars. So great was his sanctity that people from all over Europe came to see him. He used to spend from sixteen to eighteen hours in the confessional every day. Heads of the State, army officers, university professors, bishops and priest, all went to him for direction. Toward the end of his life, nearly 20,000 pilgrims visited him every year. Pope Pius XI proclaimed him the patron of all parish priests. He was one of the most loved priests in the history of the Catholic Church. Everyone remembers him either as siting in the confessional or kneeling before the Blessed Sacrament or before an image of Our Blessed Mother, always with the rosary beads in his hand. Each year on August 6th the Church recalls and celebrates the Feast of the Transfiguration of our Lord Jesus Christ, when we recall Christ's divinity showing forth on Mount Tabor. This event foreshadowed the glorious Resurrection and Ascension of Christ that would occur after His death on the Cross. The Transfiguration wasn’t in and of itself the greatest part of this mystery, but what is even greater is that Christ humbled Himself and hid His immense glory while on earth. As Our Blessed Lord ascends Mount Tabor and is transfigured before His closest disciples, there appears to Him both Moses and Elijah -- symbolizes the Law and the Prophet, surrounding the Son of Man. The radiance of Jesus in the presence of Moses refers to Moses' radiance in the presence of the Lord. 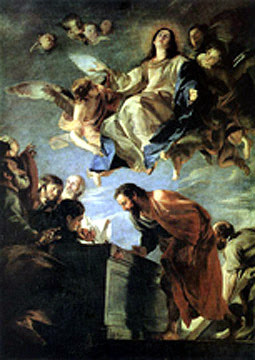 St. James the Greater, along with Peter and John, was one of the few that witnessed Our Lord's Transfiguration on Mt. Tabor, the raising of the daughter of Jairus, and Our Lord’s suffering in the Garden of Gethsemane before His passion. 2-10. We contemplate in awe this manifestation of the glory of the Son of God to three of His disciples. Ever since the Incarnation, the divinity of our Lord has usually been hidden behind His humanity. But Christ wishes to show, to these favorite disciples, who will later be pillars of the Church, the splendor of His divine glory, in order to encourage them to follow the difficult way that lies ahead, fixing their gaze on the happy goal which is awaiting them at the end. This is why, as St. Thomas comments (cf. "Summa Theologia", III, q. 45, a. 1), it was appropriate for Him to give them an insight into His glory. The fact that the Transfiguration comes immediately after the first announcement of His passion, and His prophetic words about how His followers would also have to carry His cross, shows us that "through many tribulations we must enter the kingdom of God" (Acts 14:22). What happened at the Transfiguration? To understand this miraculous event in Christ's life, we must remember that in order to redeem us by His passion and death our Lord freely renounced divine glory and became man, assuming flesh which was capable of suffering and which was not glorious, becoming like us in every way except sin (cf. Hebrew 4:15). In the Transfiguration, Jesus Christ willed that the glory which was His as God and which His soul had from the moment of the Incarnation, should miraculously become present in His body. "We should learn from Jesus' attitude in these trials. During His life on earth He did not even want the glory that belong to Him. Though He had the right to be treated as God, He took the form of a servant, a slave (cf. Philippians 2:6)" (St. J. Escriva, "Christ Is Passing By", 62). Bearing in mind WHO became man (the divinity of the person and the glory of His soul), it was appropriate for His body to be glorious; given the PURPOSE of His Incarnation, it was not appropriate, usually, for His glory to be evident. Christ shows His glory in the Transfiguration in order to move us to desire the divine glory which will be given us so that, having this hope, we too can understand "that the sufferings of this present time are not worth comparing with the glory that is to be revealed to us" (Romans 8:18). To continue reading, please see my prior post on the Transfiguration and consider the online course through CatechismClass.com on the Life of Christ, using Fulton Sheen's text as one of its many resources. Please join me in praying this novena daily from August 6 - 14 in preparation for the Solemnity of the Assumption of the Blessed Virgin Mary into Heaven [read about this exciting, holy observance]. The above photo is in honor of Fr. Jean-Pierre Herman, who celebrated the 10am Solemn High Mass at Saint Francis de Sales Oratory in Saint Louis on the occasion of his 25th Anniversary to the Priesthood. The choir performed the Vierne Mass, Messe Solonnelle, on this joyous occasion. Lord Jesus, Chief Shepherd of the flock, we pray that in the great love and mercy of your Sacred Heart you attend to all the needs of your priest-shepherds throughout the world. 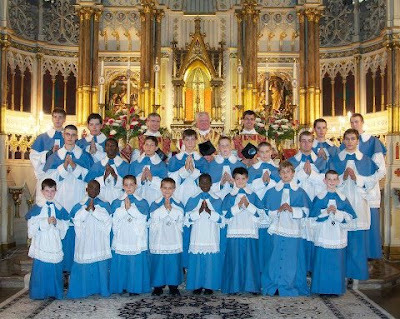 We ask that you draw back to your Heart all those priests who have seriously strayed from your path, that you rekindle the desire for holiness in the hearts of those priests who have become lukewarm, and that you continue to give your fervent priests the desire for the highest holiness. United with your Heart and Mary’s Heart, we ask that you take this petition to your heavenly Father in the unity of the Holy Spirit. Amen.